The NASA Lyndon B. Johnson Space Center (JSC) is located in Houston, Texas. JSC is known as the NASA Mission Control Center (MCC) for the Gemini, Apollo, Skylab, Space Shuttle and International Space Station Programs. 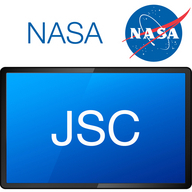 JSC is also known for the development of manned spacecraft, for the selection and training of astronauts, for the study of space and life sciences associated with humans in space, and for the study of moon rocks and other astromaterials.